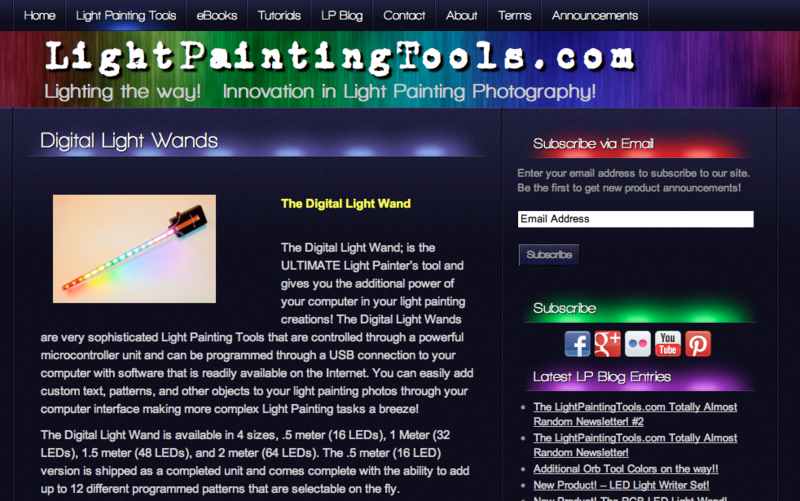 Last week I wrote about how our film ‘Immaterials: Light painting WiFi’ has spread across the internet and become a popular cultural phenomena over the last year. Today I want to write about a couple of other kinds of impact that the film and the visualisations have created. We have observed the concepts, arguments and visual language being taken up and interpreted as new and derivative work by other practitioners. This points to a different sort of cultural propagation: the spectacle of the film created a momentum that has driven others to re-interpret, re-create and extend the work in many different directions. Firstly, it’s helpful to delve a little into the way in which the techniques in the film were invented. We have long been inspired by the brilliant history of light painting, in particular the work of the Gilbreths who used light painting in 1914 to do time and motion studies of workplaces and manual labour. Light painting is a great photographic technique both as a creative image making tool, and for revealing immaterial phenomena such as time, motion and what we have come to describe as ‘immaterials’. 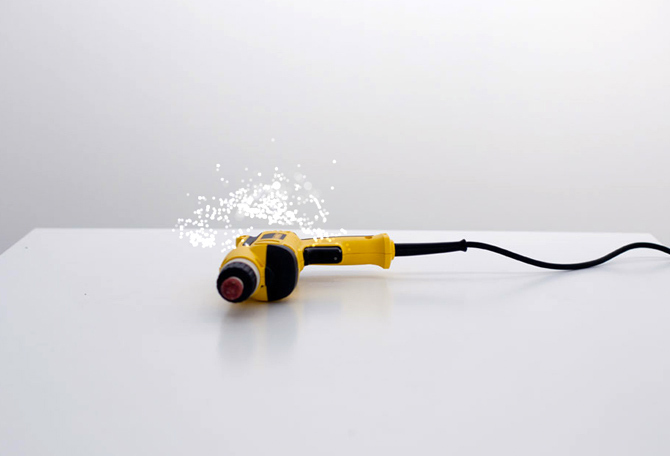 The concept of ‘immaterials’ is central both in this project and in our previous work with Touch and Berg. The term was coined by Matt Jones to describe the invisible phenomena that influence how both interactive products and cities are experienced and designed. We first explored immaterials through light painting techniques in the film ‘Immaterials: Ghost in the Field’ which the WiFi project has grown out of. Another important reference point was Timo‘s light painting work in Berg and Dentsu London’s ‘Making Future Magic‘. Timo created a series of animation experiments with an iPad that light-painted halftone patterns into photographs. 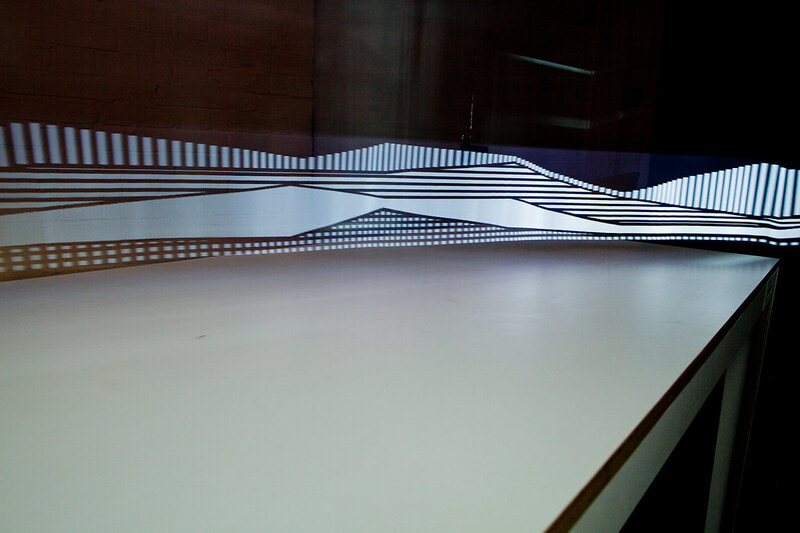 This was a starting point for thinking about the graphic language and the ‘graphing’ of WiFi in physical space. Firstly it is interesting to see how these concepts and techniques have been extended by agencies, marketers and designers into other media. The conceptual and visual language from the WiFi film has been repurposed to describe, sell and explore invisible technologies in many ways. Second, we will look at how the light painting techniques developed for the film have been taken up and extended by enthusiasts and technologists. 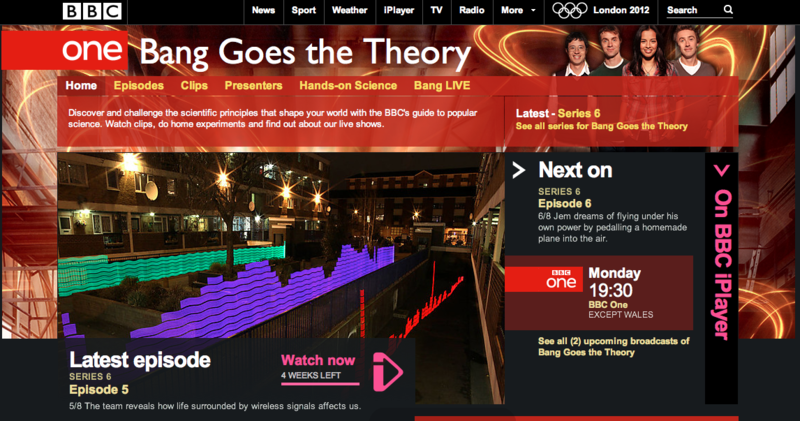 Interestingly, the impact of the WiFi film can also be seen in an episode of BBC’s popular science show Bang Goes the Theory. Episode 5 series 6 (16.04.12) was about the invisible world of technology and in this episode they set out to ‘reveal how life surrounded by wireless signals affects us’. 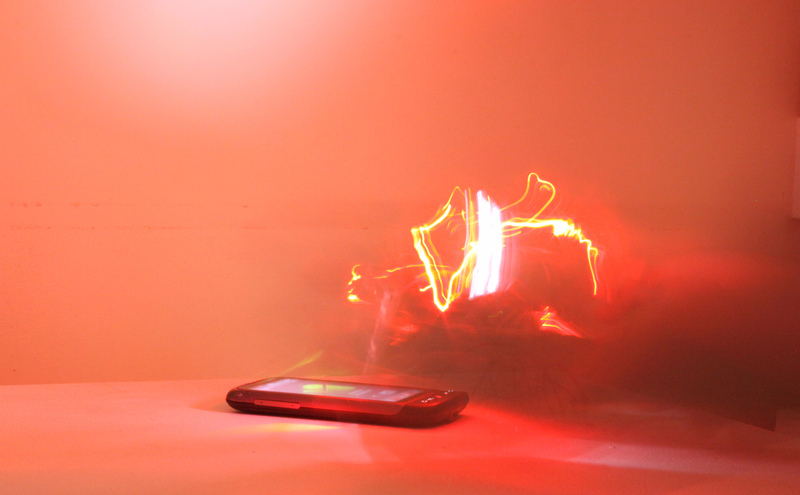 To illustrate these wireless technologies they chose to use the light painting method we developed for the film. The WiFi measuring rods used in this show were built by engineers from the University of Bristol. Showing that the WiFi film also has relevance outside of design fields and also has been fruitful in engineering and in the mass-media communication of science. 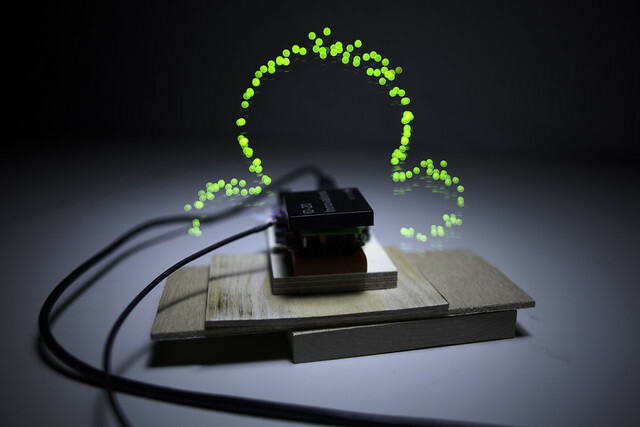 These projects inspired by immaterials are interesting in that they bring the concepts to new audiences and may lead to new forms of exploration of emerging technologies within a broader cultural frame. 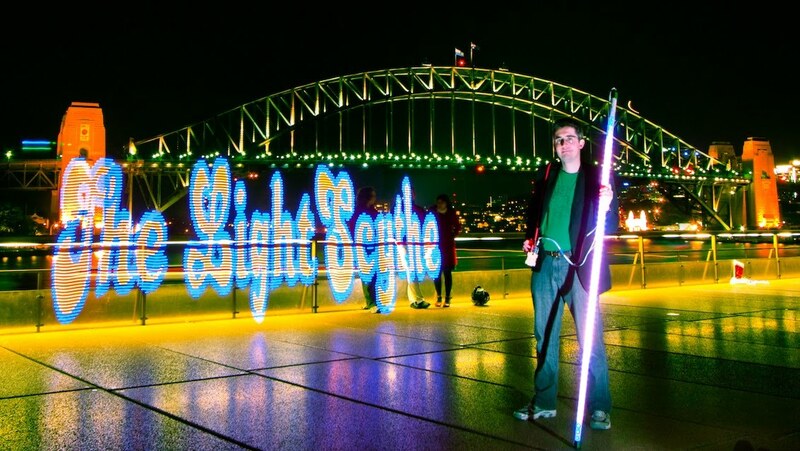 No matter if you’re part of the art or geek scene, light painting has become a recent trend blending the two. The medium has evolved to something more than just waving flashlights in front of a camera with a long exposure. It requires an understanding of photography as well as the hardware and software that make these projects possible. The trend of using a “light wand,” or and LED RGB light strip, began with a group of artists that wanted to map urban WiFi signals. This project created a visual landscape of technology we couldn’t see before, giving perspective on something we use everyday. After the release of art group’s video, it branched out into something else entirely—geeks and artists alike were creating floating pixelated images. We are impressed and inspired by these efforts for several reasons: First, we too are light painting enthusiasts and it is great to be able to take part in the innovation of the field. Second, we love experimental toolmaking and believe that there is great potential in developing instruments for creative explorations on many levels. Third, in our design work we rely on open source resources and shared explanation such as the community around Arduino, Adafruit and Sparkfun. It is great that better programmers than us also share their discoveries and processes. In this work there is lot of inspiring technical solutions and well-documented practical developments that undoubtedly also will fold back into our projects. This collection of projects illustrates how design research can contribute at many levels as it participates in culture, from articulating new concepts to a broad audience to inventing new visual languages and image-making techniques, and inspiring a broad range material and technical explorations.